Bow Brickhill Stables is a professional equestrian facility situated on 70 beautifully maintained acres in Hunterdon County, New Jersey. Our talented team of trainers offer outstanding training well-suited to the needs of riders and horses of all levels. 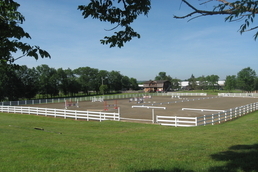 At 60 miles west of New York City, we are centrally located for the Northeast show circuit. Call us at (732) 616-1856 for more details. 3 Pillars Equestrian and Melanie Smith Taylor Clinic at Bow Brickhill Stables. 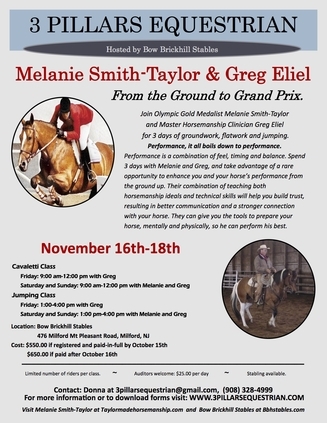 Bow Brickhill Stables offers training ranging from natural horsemanship trainer Lara DeLorenzo, international dressage competitor and trainer Pierre St. Jacques, and international eventing competitor and trainer Samantha St Jacques.